Activists are calling for new rules over the prices of housing, after it has been revealed that students are spending approximately 95 per cent of their loans on rent. The National Union of Students (NUS) has stated that the average university halls come in at £123.96 per week, which equates to £5244 per year. As of 2014-2015, the maximum student loan available in Scotland is £5750. Students studying intense courses which leave little time for working or who cannot find a part time job for any reason have few options. With nearly a quarter of students worrying about funding their education, calls for action are becoming louder. Kirsty Haigh, vice-president of NUS, recently held a rally outside the Scottish Parliament. Within a few weeks, she collected over 2000 consultation responses. In Scotland, housing prices are amongst the fastest rising in the UK. Activists are now campaigning for the re-introduction of rent controls, which were abolished by Margaret Thatcher in 1988. 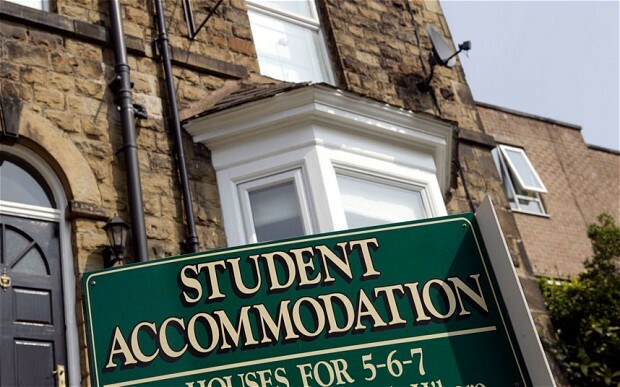 It is now hoped that current Minister for Housing, Margaret Burgess, will reinstate these legislations in order to stop landlords and housing associations from taking advantage of students in need of a place to live. The rally at the Scottish Parliament was only the beginning: 4 February marked Rent Freedom Day. People were encouraged to lobby MPs and find out how their housing rights can be improved on this day in the hope that they will take notice. London students also participated in “March for Homes” in January: a march in protest of the recent housing crisis. Activists say there is a need to improve the prices in halls, not just the private market. University College London has increased their prices each year of halls of residence by an average of 5% each year for the past 5 years. HSBC, which examined the 20 cities with the largest student populations last year, found that University College London and Oxford were by far the most expensive universities in the UK with the average student paying £287 per week for rent, food, travel and university supplies. Other universities are similar: the cheapest halls at University of Sheffield have increased in price by 11% over the past three years. University of Manchester currently charge £5120 for a self-catering room for the academic year.